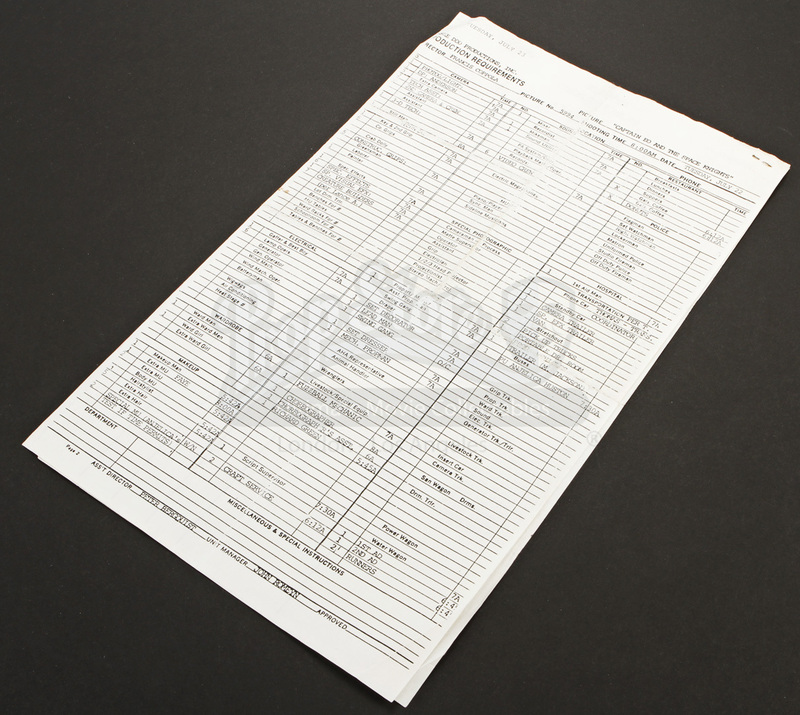 A Production Call Sheet used in the making of Francis Ford Coppola's 3D science fiction musical, Captain Eo. 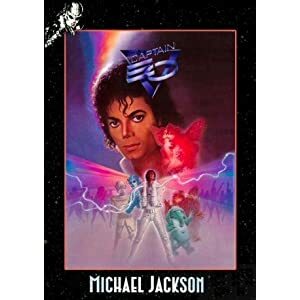 Starring Michael Jackson as Captain Eo, this film played exclusively in Disneyland Amusement Parks. 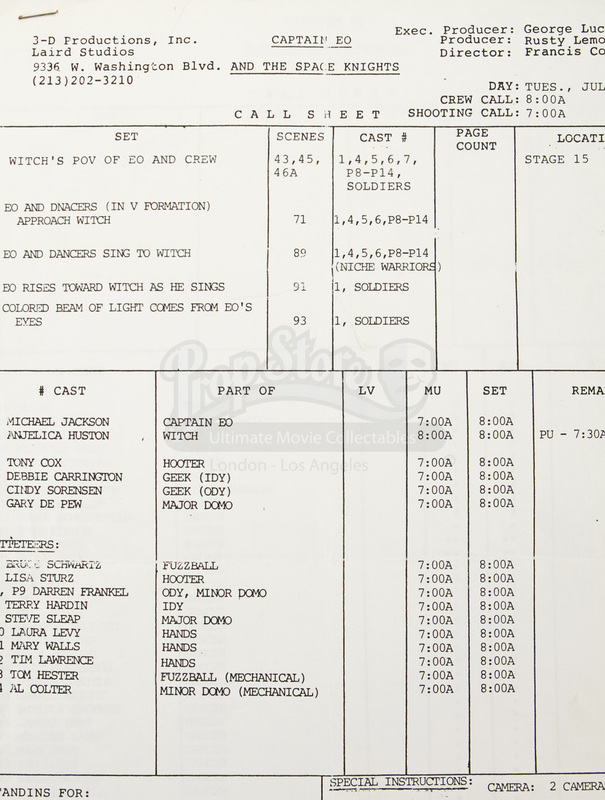 Dated July 23, this call sheet features the films original title, Captain Eo and the Space Knights. 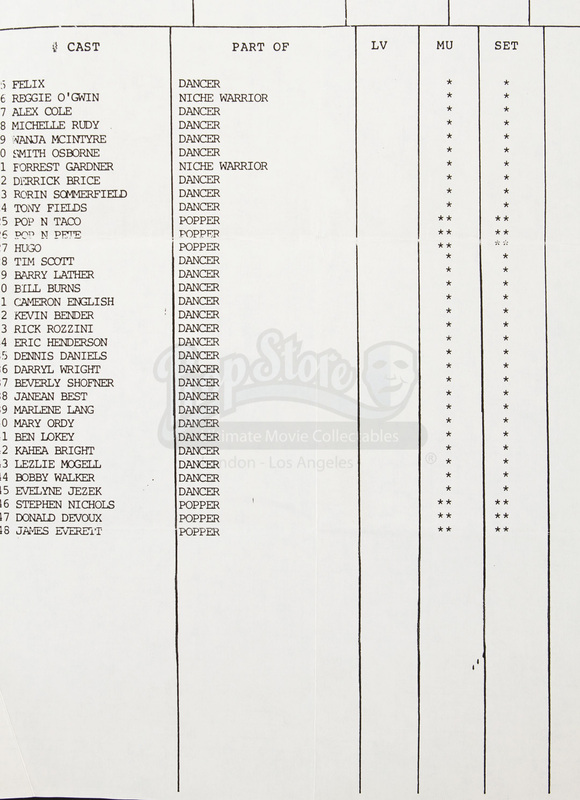 On this day, Michael Jackson was called to work key dance sequences in which he sings to the Witch (Angelica Houston). 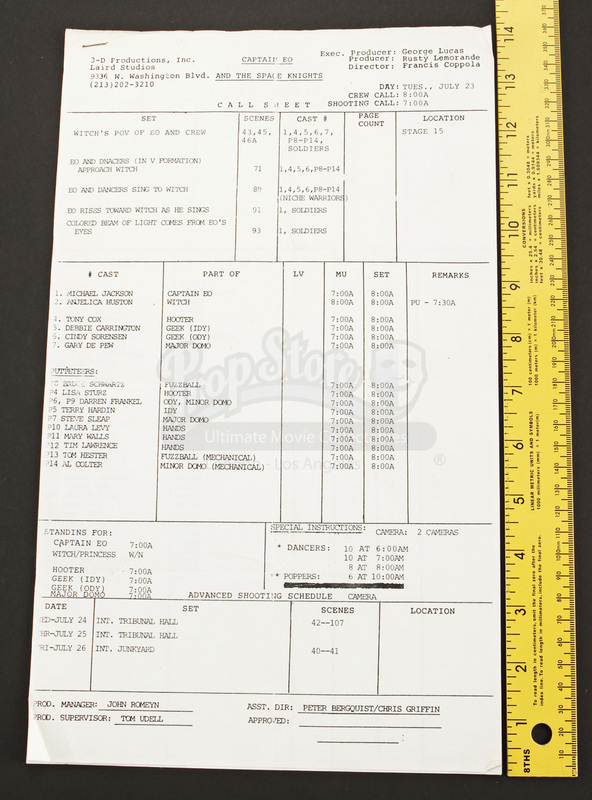 Also included in this two page set are call times for the cast and crew, location notes, and special instructions for the dancers. 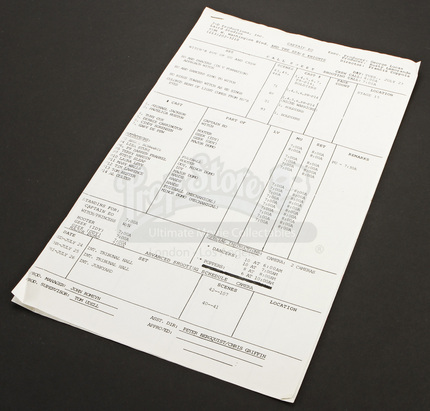 This document has been stapled in the upper left corner, and measures approximately 8.5" x 14" (22cm x 36cm) and features minor wear and folds from production use and age, however it remains in overall good condition.